I have good intentions towards fruit. I do. We always buy it when we do our food shopping. I plan having it on cereal, and making fruit salads. This doesn't always happen. And for the times when you're left with over-ripe bananas, there's a saving grace in banana loaf! It's something I've enjoyed many a time but for some reason haven't ever made myself. I've given it a go tonight. 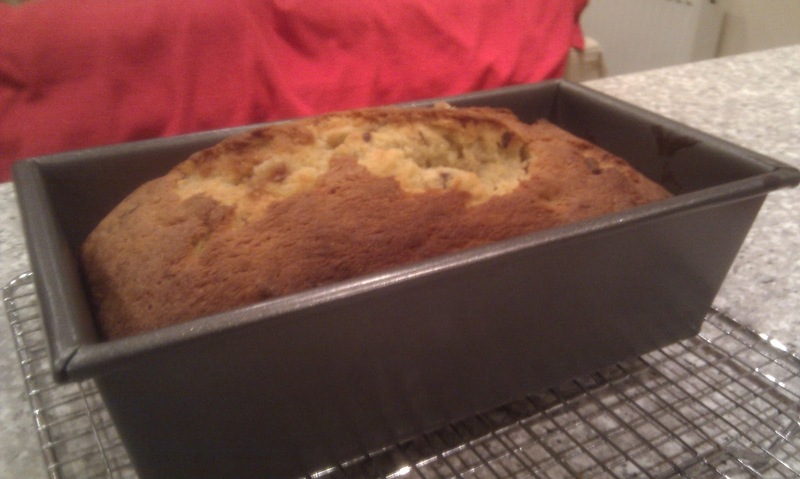 It's cooling at the moment and smells DELICIOUS! Fresh out of the oven and smelling good!